Ekolio Music Edition is a new publisher of sheet music and supplier of musical materials. Ekolio Music Edition was founded in 2014 in Slovakia by Portuguese composer Nuno Figueiredo and Slovak composer Petra Bachratá as part of Ekolio s.r.o. (a family company working in the area of ecology and waste management for the past 15 years) that is owned by Stanislav Bachraty. 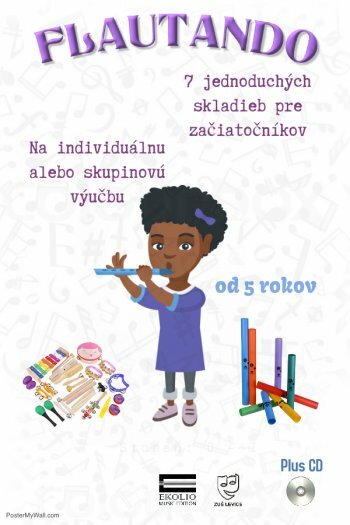 The main interests of EME are publication of original didactic and contemporary sheet music and music books, providing scores and musical materials from different publishers, sale of musical instruments and accessories, books, cd’s and multimedia material. The most important issue for Ekolio Music Editions is the quality of the edition. Nowadays, many people from different countries (musicians, music school teachers, academies and conservatoires) purchase our editions. We have highly qualified technical staff within our team who ensure the quality of our editions. We also collaborate with many schools and university in different country´s. Ekolio Music Edition is a modern family-owned company. Ing Bachraty is the CEO and Nuno Figueiredo is managing director of publishing. We are supported by many international composers.